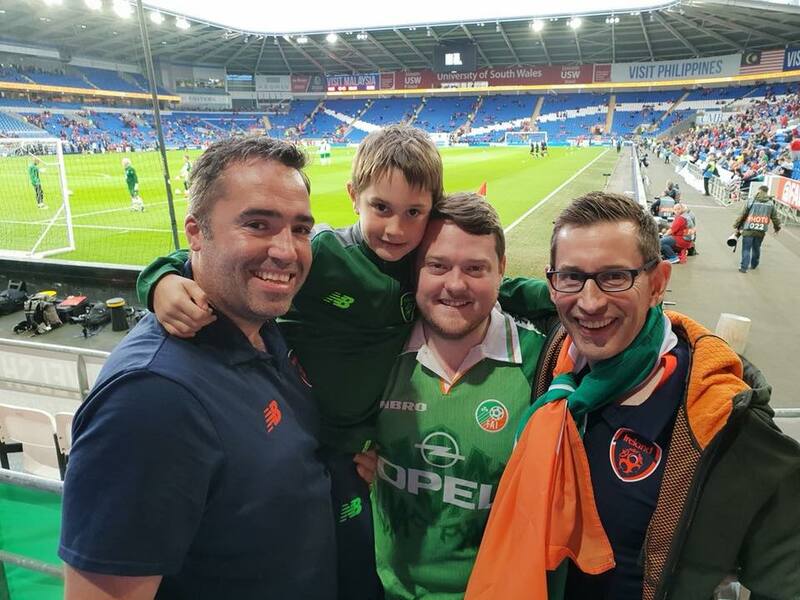 Our last visit to Cardiff had been a memorable one, we left the ground on a high full of optimism of potentially qualifying for the World Cup. What a difference a year makes! A severely depleted squad thanks to injuries, Fall Outs and doubts of allegiance headed to Wales. As supporters we don’t get a choice. Thanks to UEFA’s fixture planning this game took place on a Monday; I had made a decision when the date was set to drive down to Cardiff in the afternoon and back after the game, so as designated driver I offered spaces in the car to Sean O’Carroll and Font Egan to join Cian and I for the trip. So off we set, heading to Cardiff down the M4 with only Font having a few journey beers on route. Pre match chat on route, with Catalpas Fans Album “The Gathering” providing the backdrop, focused on each of our theories on the Arter, Rice, Keane controversies and although we tried to be positive and optimistic for the game we were unanimous that Ireland would do well to get a draw. We arrived at the ground and parked up in plenty of time, obligatory McDonalds passed for dinner and for the first time ever on my travels I entered the stadium at the official “turnstile” opening time. This was a new and actually highly enjoyable experience. 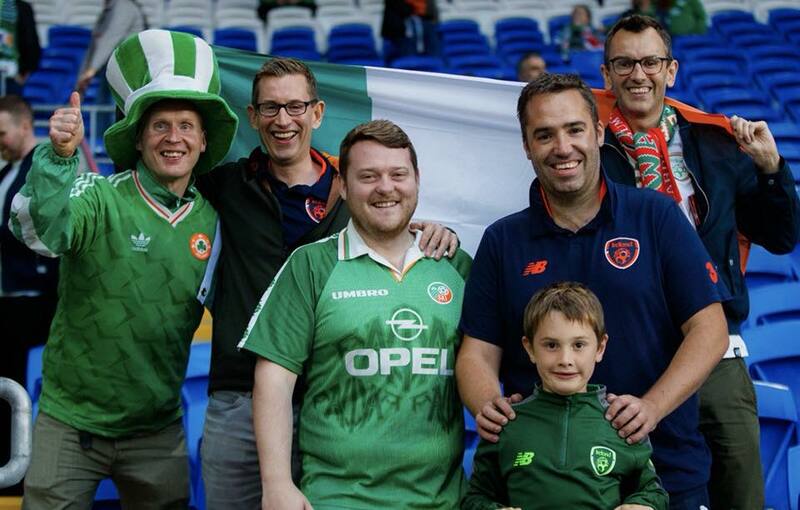 As the Irish section had not sold out, we were told by the stewards to go where we wanted so we opted for the front row, where along with other “flag hangers” we displayed our club flags in a prominent position next to the corner flag. As we were in the stadium two full hours before kick off we got to see the squad out warming up and also enjoyed watching our supporters arriving in various states of dress and sobriety. 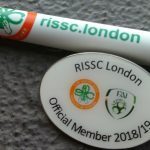 RISSC London members were present in large numbers; and it was nice to meet some of them for the first time namely Chris Kennedy and Eddie Patton (who had surely racked up the most air-miles of any fan to get to the game). I also met and had a great chat about all things CRISC with Shane Whelan and his brother Martin. So to the game! The less said the better, losing James McClean and Alan Browne a few days before meant it would always be a struggle to get a result and in complete contrast Wales had their World Class player Gareth Bale available whereas he had been absent on our previous visit. Ironically if he had turned up Arter would surely have started, so too Declan Rice, and once Ireland started conceding goals mainly due to basic errors in the 5th and 16th minute, the match was over as a contest. 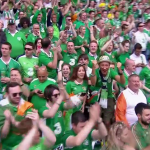 Bale’s goal was an incredible strike that you could not help be impressed with, his cupping his hand to his ear in gesture to the Irish fans in celebration less so! Wales, full of bounce under the stewardship of Ryan Giggs in his first competitive game, just rolled us over with their team being given far too much time and space, epitomised by the performance by the son of a former Ireland Under age player Ampadu. 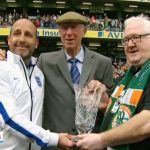 We created little, Callum Robinson did his best on debut and the highlight for Ireland fans was seeing a consolation goal scored by Millwall man Sean Williams after a cocky mistake by Aaron Ramsey. At the final whistle very few of the players cams over to show their appreciation to the travelling Irish, the exception our youngest player Callum O’Dowda who was genuinely gutted and downbeat. 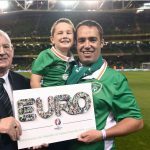 With the rumours of disharmony in the squad we are where we are with our players and they need our support more than ever, especially those who are making themselves available for Ireland. For the journey home to London after the game we made room for Bernard O’Reilly; a regular at home and away games who was heading to Poland on the Tuesday. Our chat on the way home was full of nostalgic reminiscence of away trips of the past, goals seen and players of old. We also spoke of returning to Aarhus in November and our last trip there in 2007 watching Steve Staunton’s teams first game. Hard to think this was 11 years ago! 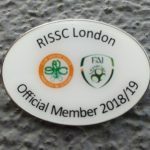 We saw a young refreshed Wales team outclass a poor injury depleted Ireland team on the night but as usual, for various reasons it was a memorable trip and good to see RISSC London members on their travels. Cian, now almost 7 was disappointed naturally at the result and my only consolation and words of comfort to him were to say that at least he had seen a truly world class player in Gareth Bale, score a great goal. 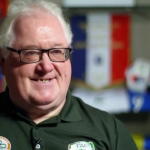 We just hope he doesn’t repeat the feat in October in Dublin.